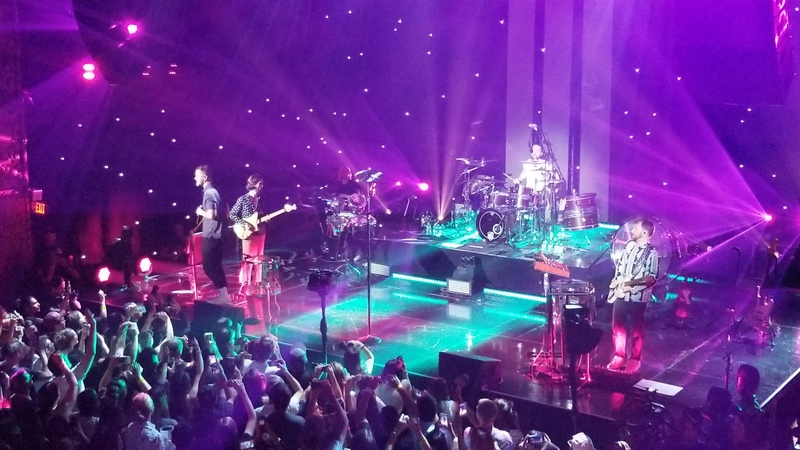 Citi and Live Nation kicked off their Virtual Reality concert series, Thursday June 15th with Imagine Dragons at The Belasco Theater. In preparation for their upcoming tour, the Grammy award winning band gave the audience a taste of what they can expect later this year. It’s safe to say no one was disappointed! The sold out show at the Belasco Theater was high energy and excitement as the band performed an array of tunes that seemed to only amp up the crowd as the night went on. Add to this the fact that one of the band members, Wayne, was celebrating his birthday and you have all the components of a successful reintroduction to their dedication to their craft and fans. This was indeed an intimate show and it felt like your friends were on stage singing your favorite songs for you. The best part was that even if you weren’t in the audience, you could still get an up close and personal look at the show through the cutting edge virtual technology. The Imagine Dragon show was the first in a series that includes Lady Antebellum, Third Eye Blind and Prince Royce to broadcast the concert in virtual reality. In addition, fans had rare access to behind-the-scenes footage, in virtual reality, via the “Backstage with Citi” series. The live NextVR content is available on a Samsung Gear VR headset or Google Daydream, along with a compatible smartphone, by downloading the NextVR app from the Oculus store for GearVR or the Google Play store for Daydream. Portions of “Backstage with Citi” will also be made available on demand – in virtual reality and 2D – on Citi channels. Fans can go to https://www.citiprivatepass.com/vr and http://www.nextvr.com/LiveNation to get the latest on the concert series.